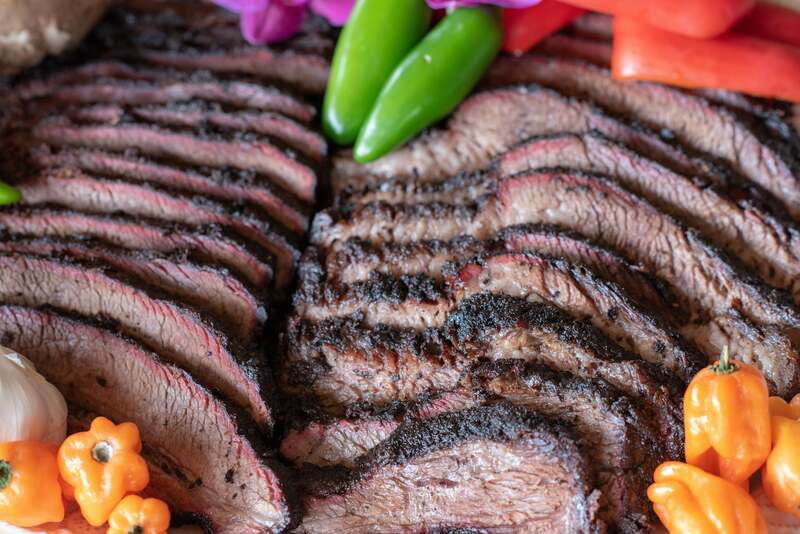 Our secret is adding a little sugar to our Cattle Drive™ blend so the seasoning clings to the brisket infusing it with flavor and forming that signature caramelized layer, a bark that is simply irresistible. We suggest placing the brisket into a plastic storage bin at this point since it minimizes waste and is useful for the “dry brine” step. 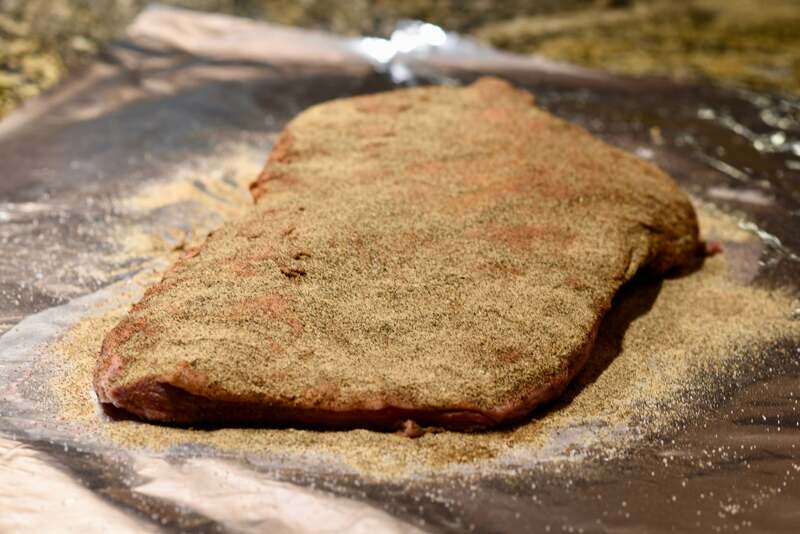 Sprinkle the brisket with salt at about 1/4 teaspoon of table salt per pound of brisket. 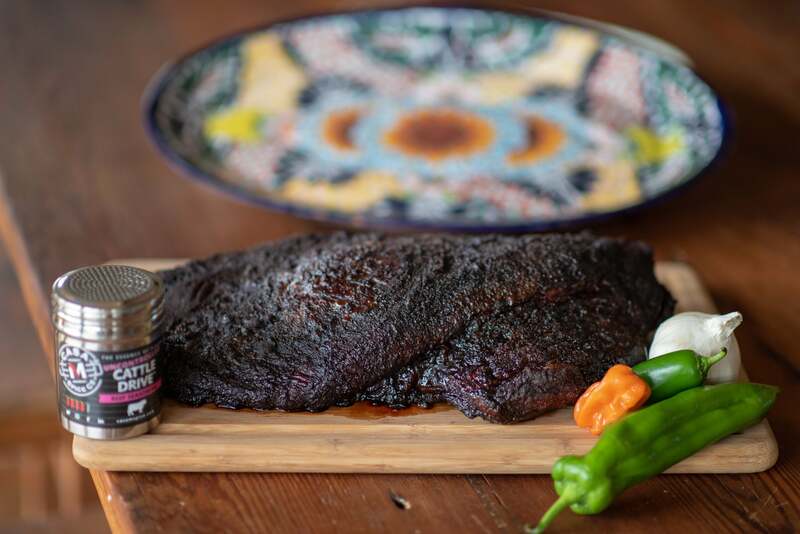 Sprinkle the brisket with Casa M Spice Co™ Uncontrolled Cattle Drive™ to taste. Our stainless steel shakers are the perfect delivery method. For our 15 pound brisket it was about 4 tablespoon of Uncontrolled cattle drive per side, but since you adjust the rub to your preferences for flavor not salt, you can add more or less depending on your preference. Place the cover on the bin (or place food film over it) and refrigerate for at least 2 hours up to overnight to "dry brine" the brisket. Load (we like a mix of hickory, mesquite, and apple) and heat your smoker to 250°F. Move the brisket into the smoker and heat until its core temperature reaches 200°F. In our smoker, that took about 12 hours starting at 34°F from the refrigerator. Remove the brisket from the smoker and let it rest and cool to 160°F internal temperature. If you are holding for later service, wrap loosely in butcher paper and place into a cooler to hold temp. When you are ready to serve, place the brisket onto a cutting board and cut at the base of the point muscle (the part that rises off the flat and looks like a hill) across and through the flat muscle. The flat is what is called "lean cut brisket" here and the point/flat combo is what is called "moist cut brisket" here. Cut them separately across the grain and serve on a platter.